Detection of IL-17 R in K562 Human Cell Line by Flow Cytometry. 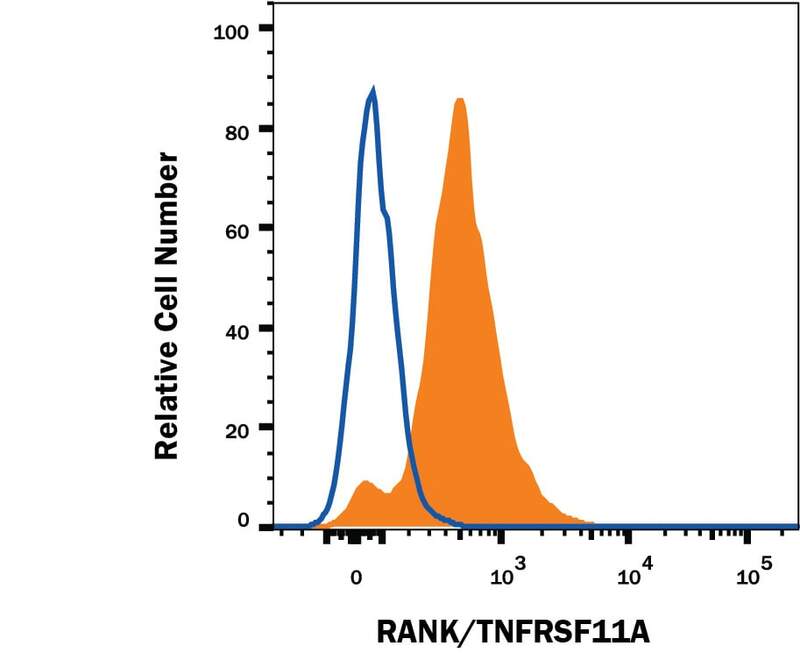 K562 human chronic myelogenous leukemia cell line was stained with Mouse Anti-Human IL-17 R PE-conjugated Monoclonal Antibody (Catalog # FAB177P, filled histogram) or isotype control antibody (Catalog # IC002P, open histogram). 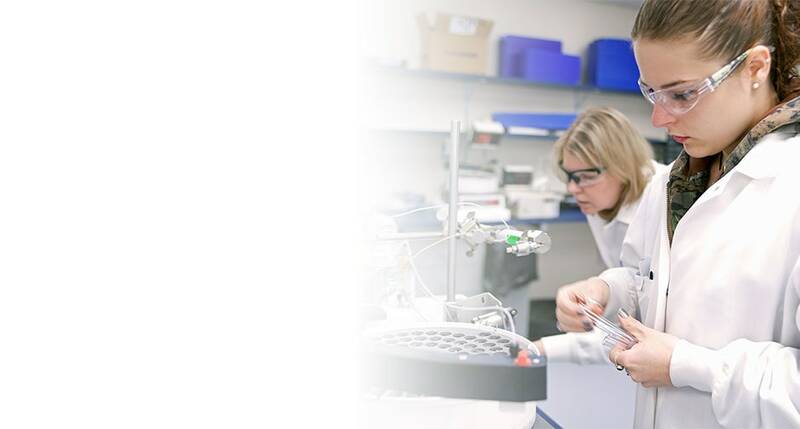 View our protocol for Staining Membrane-associated Proteins. IL-17A Contributes to the Pathogenesis of Endometriosis by Triggering Proinflammatory Cytokines and Angiogenic Growth Factors. T cell-derived IL-22 amplifies IL-1beta-driven inflammation in human adipose tissue: relevance to obesity and type 2 diabetes. 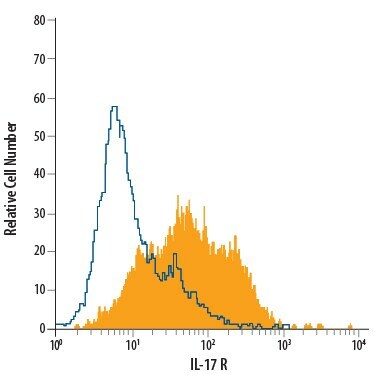 IL-17 Enhances Chemotaxis of Primary Human B Cells during Asthma. TH17 cytokines induce human airway smooth muscle cell migration. J. Allergy Clin. Immunol., 2011;127(4):1046-53.e1-2. Phenotypical characterization of human Th17 cells unambiguously identified by surface IL-17A expression. There are currently no reviews for this product. 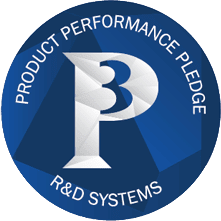 Be the first to review Human IL-17 R PE-conjugated Antibody and earn rewards! Have you used Human IL-17 R PE-conjugated Antibody?